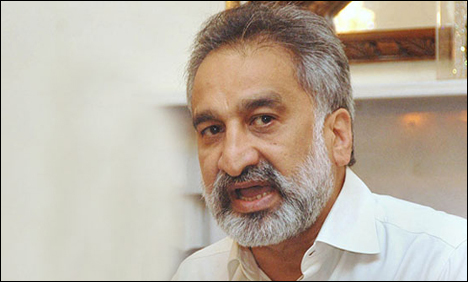 KARACHI: Senior Pakistan People's Party leader Dr Zulfiqar Mirza may resign from his party post against the search operation conducted by the Rangers today in Lyari. Local leaders Zafar Baloch and Shahjahan Baloch have resigned from party posts. Local PPP leaders have expressed their reservations over the operation. Zulfiqar Mirza would address a press conference at Karachi Press Club with resigned PPP leaders. Sources also said that he might also quit Cabinet post. ANP Sindh President Shahi Sayed met him today in Badin. Dr Zulfiqar is Vice President of PPP Sindh and also a Central Executive Committee member besides a close confidant of President Asif Zardari.